Locating on the top floor of the Marina Bay Sands hotel, the Infinity Pool looks like a giant boat floating in the sky. Photo by Amazing. 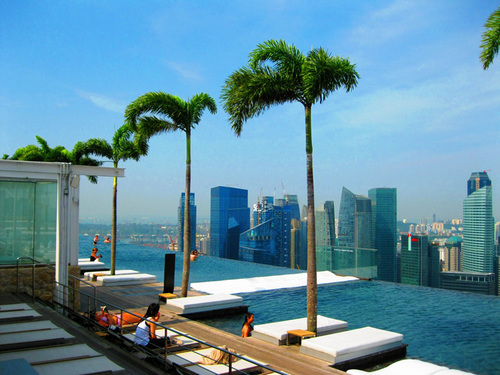 The Infinity Pool is located in the Sky Park which sits on the top floor of the Marina Bay Sands hotel (200m in height). Sky Park has the shape of a giant boat, with an area of 1ha, spreading across three towers of the hotel. The pool was opened in 2009. 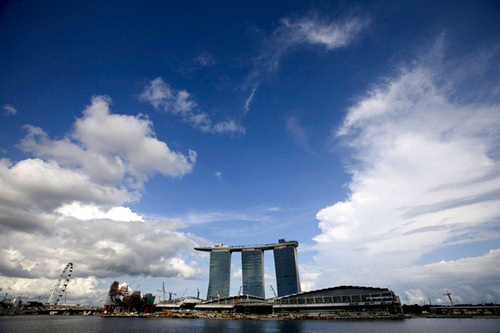 From this place, the tourists can sunbathe and also have a panoramic view of Singapore. The Infinity Pool is surrounded by large transparent glass panels, making the pool as suspending in the mid-air. 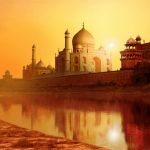 The 150m-in-length swimming pool is one of the largest and the most impressive outdoor pools in the world. 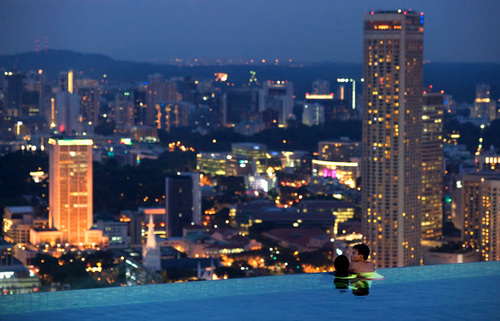 The nightlife scene of Singapore is viewed from an Infinity Pool. 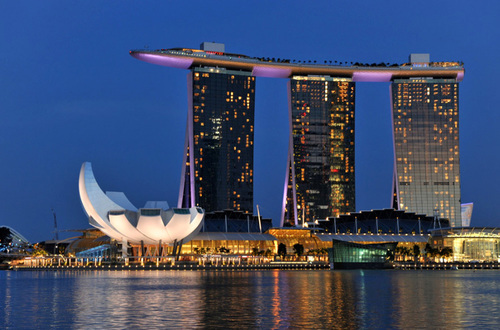 Not only famous for the Infinity Pool, the Marina Bay Sands Hotel in Singapore is also the most expensive hotel in the world, with a unique design, the luxurious rooms with an area of 500 m2 and the ultra-modern casino. 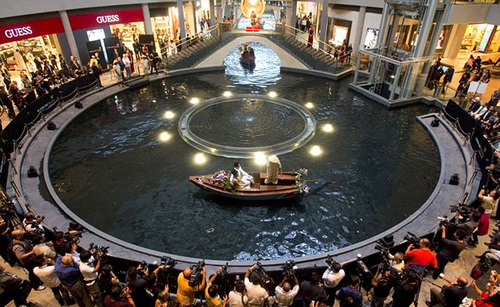 The magnificent space of Marina Bay Sands hotel. 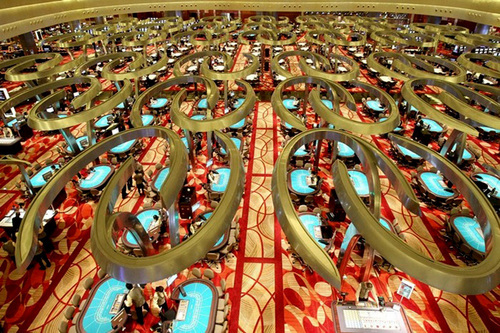 The hotel’s Casino has 4 floors, with an area of 1,500 m2, including more than 600 tables and 1,500 playing cards machines.